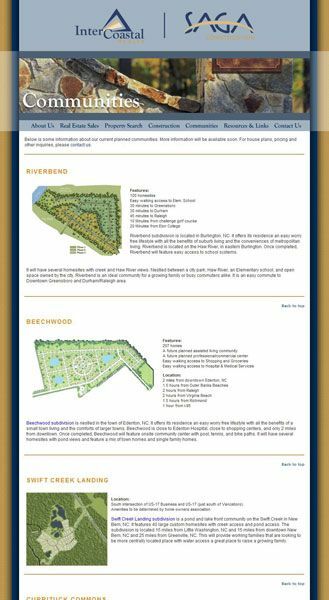 Clean and smooth flash navigation. 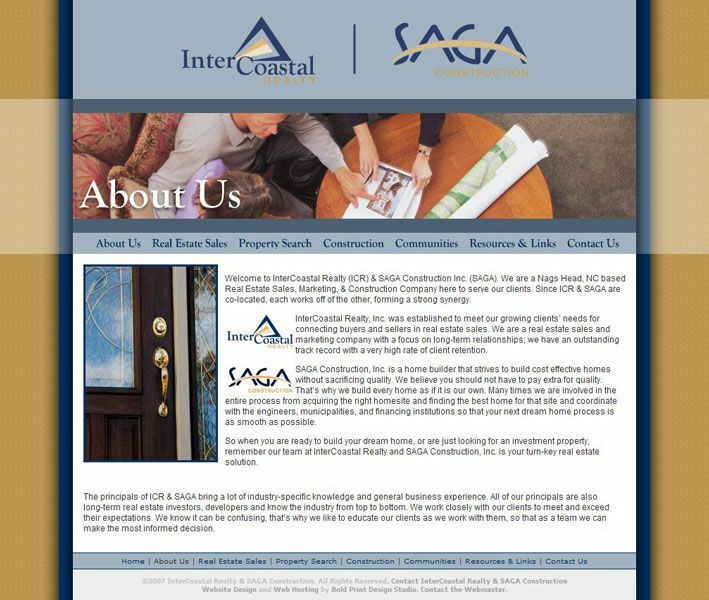 Intercoastal Realty & SAGA Construction approached us with the puzzle of creating a website for their company which provides both construction and real estate services. 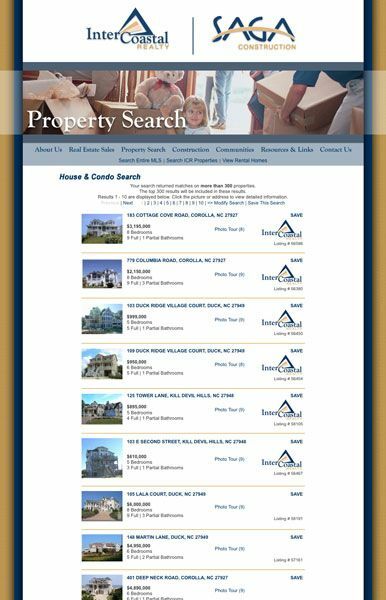 We solved the problem with a detailed flash navigation menu which cleanly breaks down the site into separate sections that can easily be accessed from the menu. 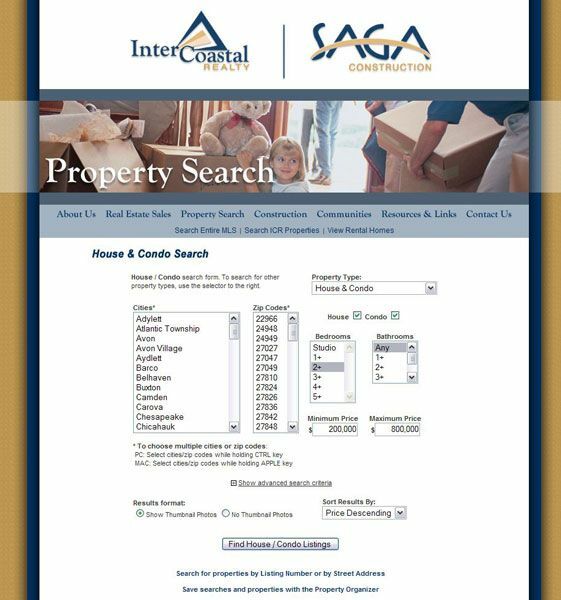 In the real estate side there is their overview page which explains their services and then you can search the entire MLS or search specifically for properties listed by ICR-SAGA. 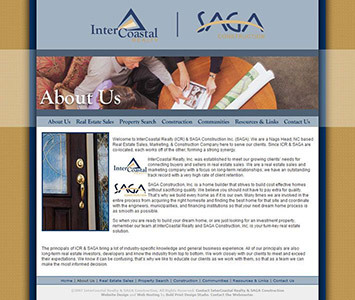 On the construction side, we developed and continue to add to their construction gallery which shows updated photos of their current projects as well as pages explaining their current construction offerings, and investment opportunities. 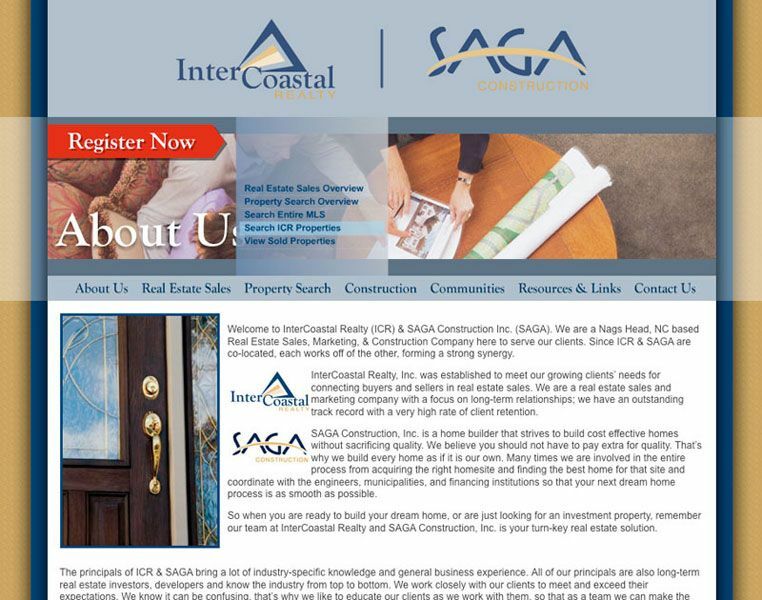 Overall, the site design builds from the style and colors we set out with their logo design and utilizes imagery to create a feeling of trust and professionalism.